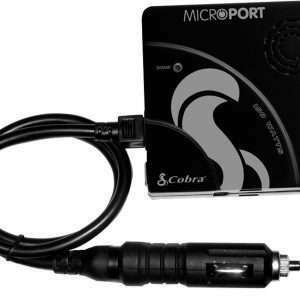 We have been selling Cobra power inverters for well over 10 years and offer free shipping on most models. The latest Cobra power inverter line all comes with a 2 year warranty, newly designed cases and feature all the standard protection bells and whistles. The Cobra Electronics Corporation was started over 60 years ago and has been manufacturing DC to AC power inverters for what seems like forever now. Their latest generation of modified sine wave power inverters range from 150 watts to 2500 watts. 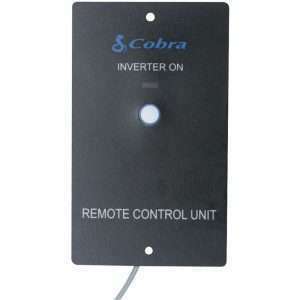 Cobra inverters are designed and built to take low voltage DC power from your vehicle or another low voltage power supply and converts it to AC power such as you would typically find in your home. This conversion operation grants you to use many of your household appliances and electronic devices in cars, worktrucks, boats, RV’s / motorhomes, semi trucks, or anywhere else you need AC power!